Originally founded in 1880 as a coach- and carriage-building company, the Netherlands-based Spyker was reborn in the 1990s when Victor Muller and Maarten de Bruijn started crafting hand-built sports cars under the Spyker label. According to Forbes magazine, today's typical Spyker buyer has a net worth of $50 million and already owns a stable of cars that includes seven Ferraris, Lamborghinis and Aston Martins. In a Spyker, these kinds of car buyers find the exclusivity they seek. Once a custom-built Spyker is ordered, the new owner can follow the progress of the car being assembled in the Spyker factory via webcam. The company also provides personalized web pages, where each car's build sheet is updated every time work is done so that the owner can keep track of the history of his car from the very beginning. The Spyker company is a real blast from the past. Before introducing the original C8 in 2000, the company hadn’t made a car since 1925. Of course, the new and old Spyker couldn’t be more different except for one thing: both are strongly tied to Spyker’s heritage as an airplane builder. One look at the propeller front-and-center on the Spyker logo will confirm that. Appropriate too, because the LM85 would probably fly off the road without the large carbon fiber rear spoiler to keep the 400 horsepower car hunkered down. The LM85 was inspired by the Spyker Squadron GT2 Le Mans cars, built on a GT2 all-aluminum chassis, and swathed inside with reflection-reducing black leather and alcantara. With wild detailing such as a turned aluminum dash, and eye-popping orange and silver livery punctuated with a huge assortment of air scoops and grills feeding the big Audi V8, the C8 Laviolette LM85 is hard to miss. After the demise of the Le Mans GT1 class, Spyker has focused its efforts on developing a car for the new GTE class. What they have produced is an off-the-shelf race car that is ready to compete; just add driver and livery. The C8 Aileron’s 40-valve, mid-mounted, 4.2-liter engine produces 400 hp and 354 ft-lbs of torque. Getting that power to the ground is a Tiptronic six-speed automatic ZF gearbox with paddle shifters or a Getrag manual transmission. These cars can be purchased with full-race support packages. The previous GT2 class Spyker claimed two second place GT2 wins in the Le Mans series and a fifth overall in the 24 Hours of Le Mans in 2009. 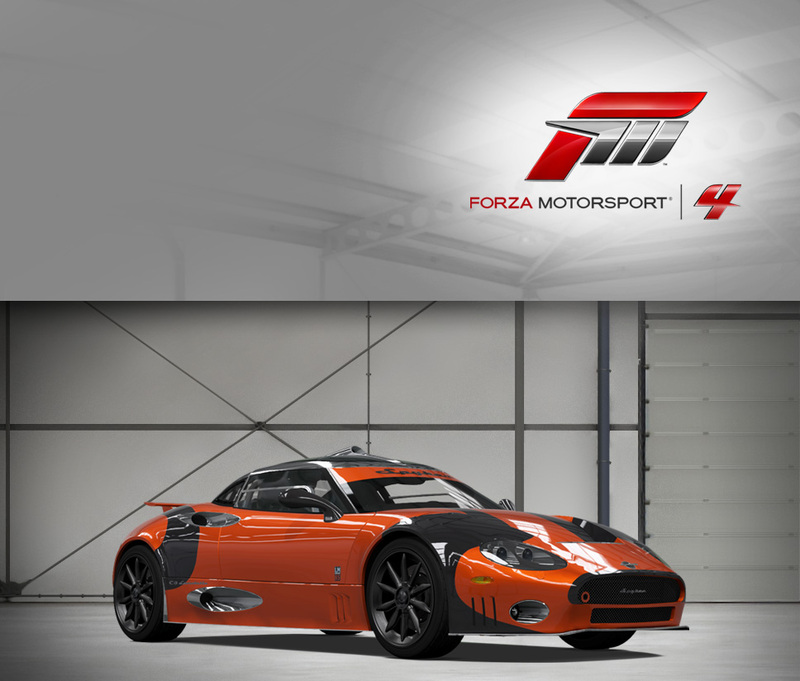 Here’s hoping Spyker gets the chance to match, or even beat, that performance with the C8 Aileron soon.